Today, many thanks to Shepherd Press, we are giving away one copy of Red Like Blood by Joe Coffey and Bob Bevington. It's got the autobiographical (and humorous) touch of Blue Like Jazz, the reformed treatment of Driscoll or Piper, and the brutal honesty of a recovery group. 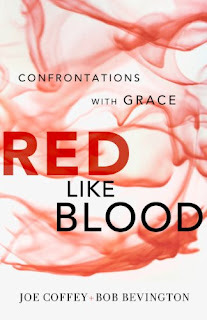 Publisher's Description: At its heart, Red Like Blood is the over-arching story of the Bible, the story of salvation: the amazing grace of God in Jesus Christ impacting our brokenness, drenching us in forgiveness and mercy. 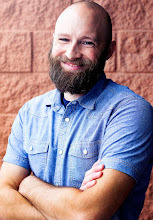 It is told through the lives of two men a prodigal and a pastor's kid whose broken lives are forever stained the color of grace as they are confronted by the One who meets them in their hopelessness and despair, bringing redemption and healing. 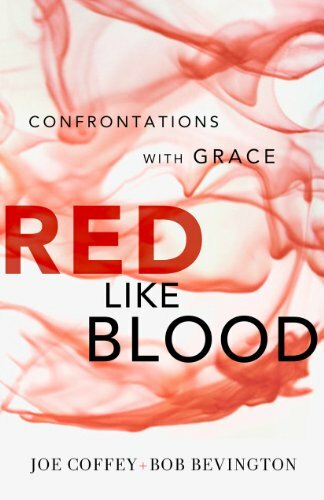 Red Like Blood chronicles the power of the gospel in all of its life-changing fullness. It is a story that should challenge, encourage and empower us all. If you'd like to hear right from Joe Coffey about the book, there's a book trailer at WTSbooks.com. My most memorable childhood gift was a working toy hovercraft. Most memorable childhood gift: the B.B. Gun my Dad bought me (and the one my mom objected to). My most memorable gift would have to be my LEGO soccer field that was fairly large, along with the sets to make it a whole stadium! My most memorable childhood gift was a toy jet fighter plane. Benjamin Air Rifle--step aside, Ralphie! My most memorable gift was probably my bike. A red wagon that I found out years later took my dad all Christmas Eve night to put together.